to encourage and facilitate the reduction in carbon emissions and waste by households, businesses and community buildings in Muswell Hill and surrounding areas. en10ergy is like a trading company in that its members are its shareholders and they are not liable for its debts. On the other hand its activities are not carried on for the benefit of the shareholders, but for the benefit of the community. 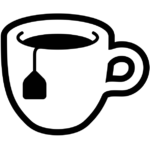 We have over 100 shareholders, mostly based in Muswell Hill and surrounding areas. 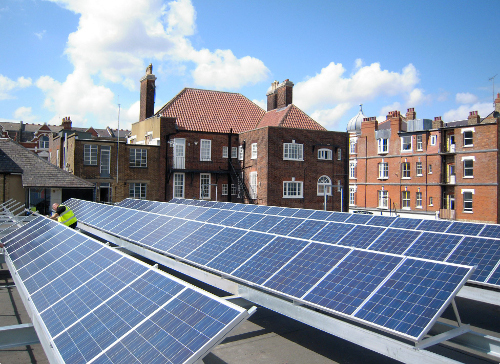 We generate income through electricity sales and the Feed In Tariff from our solar photovoltaic panels on M & S on Muswell Hill Broadway, the Methodist Church in Pages Lane and on Woodside School in Wood Green. Solar Photovoltaic (PV) panels use the sun’s energy to generate electricity that can be fed back into the Grid. 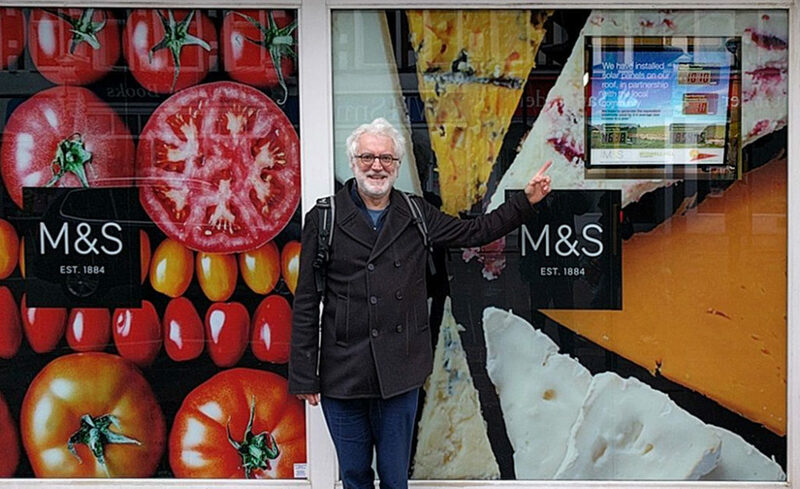 We installed solar pv panels on the roof of Marks and Spencers on Muswell Hill Broadway in July 2010. Marks and Spencers head office supported this as part of their Plan A programme. This installation consists of 100 solar panels, capable of a peak output of 45 kiloWatts (kWp). A display in the front window of the shop shows how much electricity is being generated each day and how much has been generated since the panels were installed. 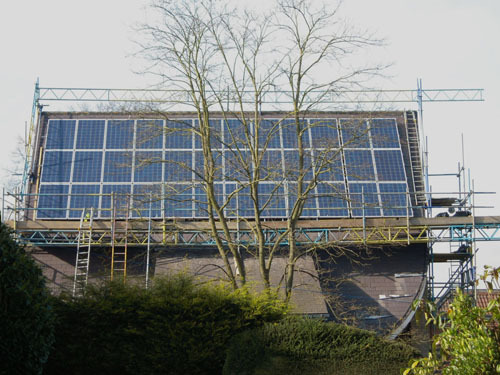 We also installed 36 solar panels on the roof of the Muswell Hill Methodist Church on Pages Lane, generating 20 kWp, and completed in April 2011. Both projects were funded by the (then) Department of Energy and Climate Change (DECC) through their Low Carbon Communities Challenge – a grant of £165,000 – and Haringey Council also provided £10,000 through a Green Innovation Award. Just under £6,000 was also raised from local residents through a community share offer. These projects generate revenue through the ‘feed-in’ tariff that the Government pays for micro-generated electricity. M&S also pay en10ergy for the electricity it uses in its bakery. In November 2017 we installed around 150 solar panels on the roof of Woodside School in Wood Green. We are looking to install a similar-sized system at Fortismere School, Muswell Hill. The schools buy the electricity generated on their roofs from en10ergy at an agreed price below the rate charged by commercial generators, which gives them considerable savings. Because both government grants and the FIT rate have been much reduced since our previous installations, these installations have been funded by an offer of Community Shares, subscribed mainly by local people. We have also received welcome support from the London Community Energy Fund, set up by the Mayor of London. We’re using the revenue from all these projects to fund further carbon emission reduction work in Haringey, in co-operation with Haringey Council. 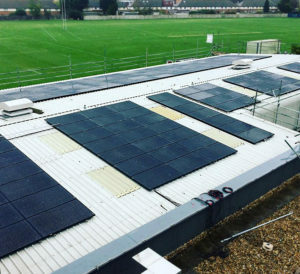 en10ergy raised £95,000 through a community share offer to install photovoltaic panels on roofs at Woodside High School in Wood Green. In November 2017 around 150 panels were installed on the sports hall roof and are now generating clean solar electricity. Unfortunately we were able to install less panels than anticipated due to the unsuitability of part of the roof at Woodside School, which was revealed following detailed structural surveys. We are now working with other potential host sites to install the remaining panels during 2018. 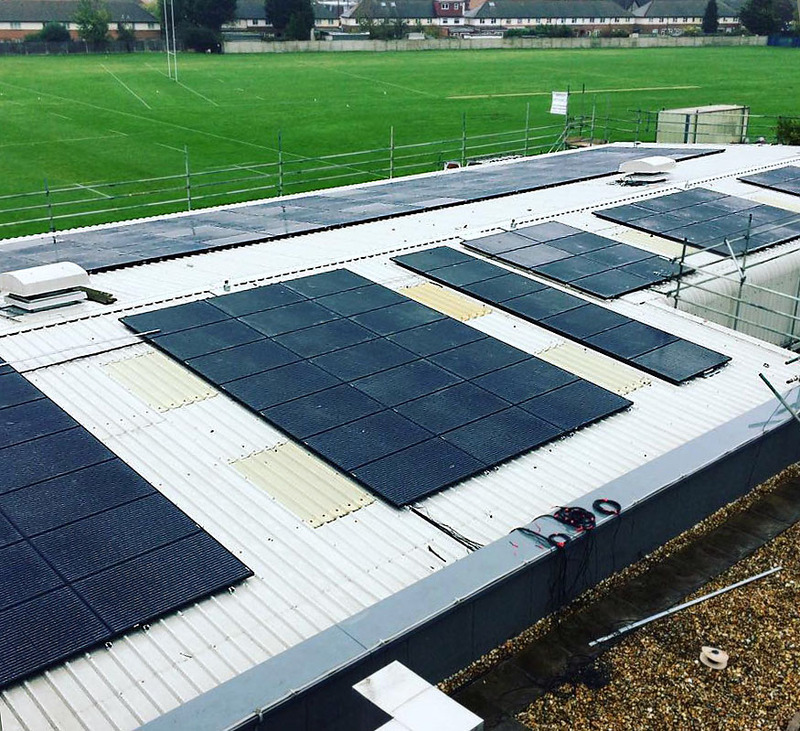 The Woodside High School panels are owned and maintained by en10ergy, who sell the electricity they generate to the school at a discount from the usual market price. Electricity sales and the government’s Feed In Tariff, which everyone who installs pv panels is enttitled to, will provide en10ergy with an income to pay its investors. 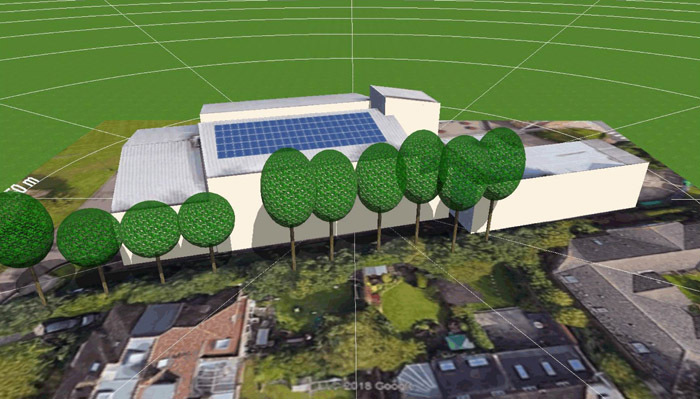 The price en10ergy charges for its electricity will save the school, and Riverside School for special needs, which shares the power supply, about £1400 a year. About 34 tons of carbon emissions will be saved each year. en10ergy will also provide a grant towards developing educational material which can use information from the solar panels for teaching in the schools, and will assist in the delivery of a suitable and creative teaching aid. We have used an innovative financial model to raise capital for the project. Since government support for the renewables industry has been drastically reduced in recent years, driving a number of small providers out of business, it has been necessary to look for new ways of making community energy projects financially viable and appealing to those who would like to invest in them. We will use the secure income from our existing generating facilities to back our current project by ensuring an interest rate on our shares of about 4% a year, and paying back a proportion of the capital invested each year as well. By doing this we can reduce the period of payback on the investment to 12 years. We feel that, given the age profile which research has shown to be typical of investors in socially beneficial projects like this, the period of twelve years will make a more attractive offer.